Amy joined us when she was 15 and still at school, working Saturdays in our warehouse. 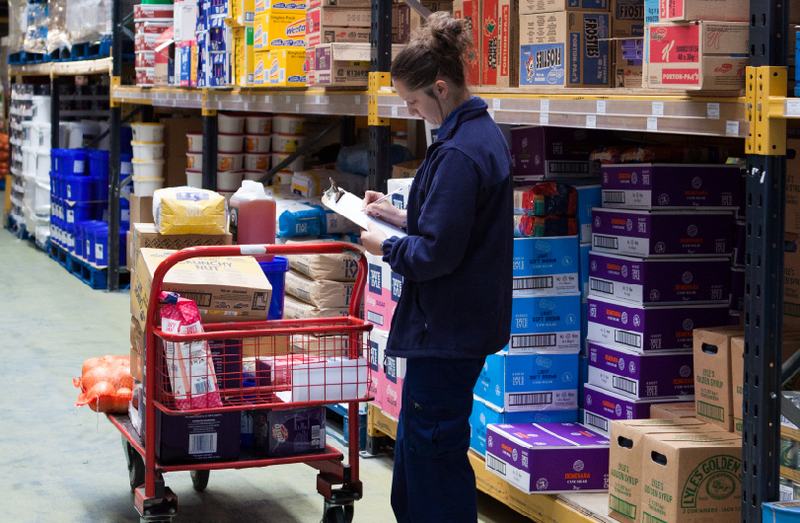 As soon as she left school at 18, she joined us full-time as an order picker, ensuring that customers’ orders were filled correctly ready to be delivered. She was also responsible for stocking our warehouse shelves neatly and tidily after supplier deliveries were made. At the age of 20, Amy was promoted to a supervisor role. Now Amy was still responsible for picking customer orders however she supervised other staff to ensure that they were carrying out their roles meticulously, quickly and swiftly. It’s crucial that our warehouse runs smoothly to ensure customers receive their orders accurately and in a timely manner. Just two years later, Amy was promoted again! Amy is now working in the office as part of the buying team and is responsible for ordering stock for our warehouse. Balancing stock control levels is her main duty as buying assistant and this is based on analysing and forecasting sales. She also has to consider the quality of the products we list and of course the price we pay, as this is a key factor in how we remain competitively priced. Liaising with our suppliers, she often has to source new, innovative products. Costs and quality are once again essential in providing our customers with the best.